I don't know if there's something in the water cooler over at Kate Spade's Manhattan headquarters, but they are SERIOUSLY hitting it out of the park this season. I had to run in to the Oak Street store yesterday to grab something for a photo shoot and spent twenty minutes longer than I should have. Behold. First I walk in and see this dangly, saturated delight greeting me. One part clutch. One part shoulder bag. All parts tufted and delicious. Picked up a lil' somethin' somethin' for myself. I didn't think $38 was outrageous considering I'll probably wear them every day. Finally, I'd like you all to meet Shelly. 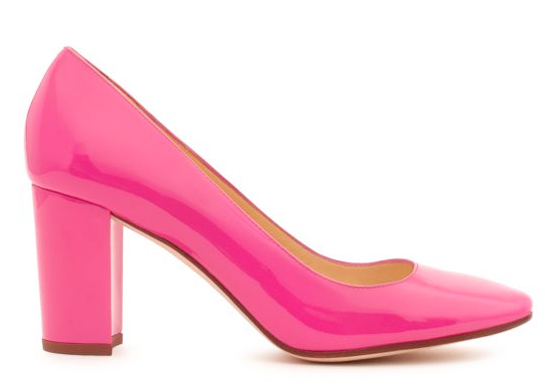 Who I've decided is the most perfect colored patent pump. And the 2.75" stacked heel makes walking eons easier versus my usual teetering shuffle on a stiletto. I love. Ok, ok, one last thing. 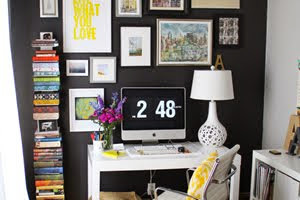 I know there are an awful lot of small business owners and entrepreneurs who read LCY, and if that's you (or really anyone for that matter), we've started an amazing new column on The Everygirl today with advice on how to grow your business and further your career. Today's piece details the importance of social networking WITHOUT a computer. I have to admit, I've actually seen this advice play out in person and it's brilliant. And does work. And is much easier than you'd think. So go check it out! Wow fantastic color. bright and beautiful. Those heels and earrings are a must! I need to invest in some everyday earrings that give a punch of color! Thanks to you, I've been inspired to bring more color to my wardrobe this spring! Love Kate Spade! I always feel like a kid in a candy store when I go in there. i don't blame you for eyeing all this! Kate Spade is my weakness! I also have those pink earrings and the orange ones too! That necklace is so gorgeous and I am hoping that they'll have it on a sample sale in a couple of months! I would love to go visit the headquarters of Kate Spade in Manhattan, lucky you! The colors are just so fun. Adore the earrings and shoes- such pretty finds! I cannot decide what I like more. It's all so candy delicious. Click click. 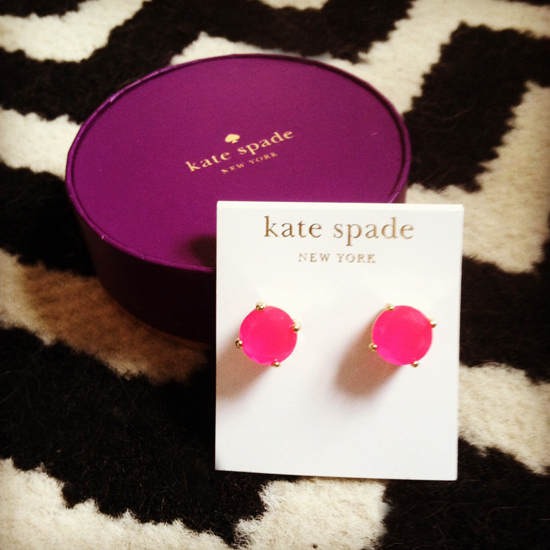 Neon pink earrings. Click. Add to cart. Click. Check out. Thanks for contributing to my addictions. I'll have to check out the everygirl post! And, I totally agree, Kate Spade has really been killing it this season. 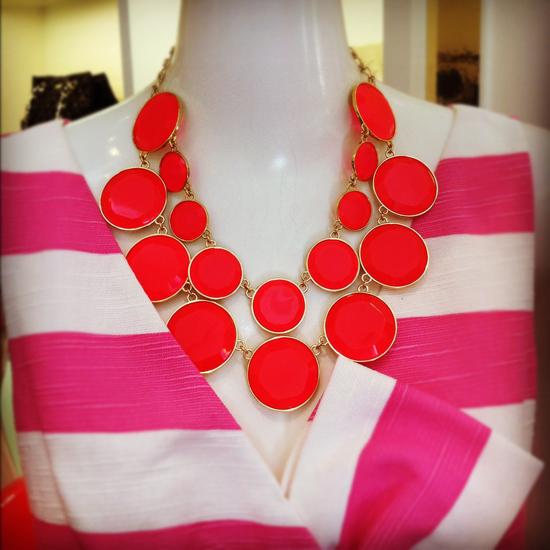 Their bright and structured pieces are fabulous! gah! Those earrings are great! I realized today that Kate Spade has some pretty incredible stuff for sale online right now. 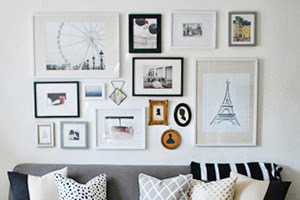 Sale + 15% off for new subscribers = new stuff for me! 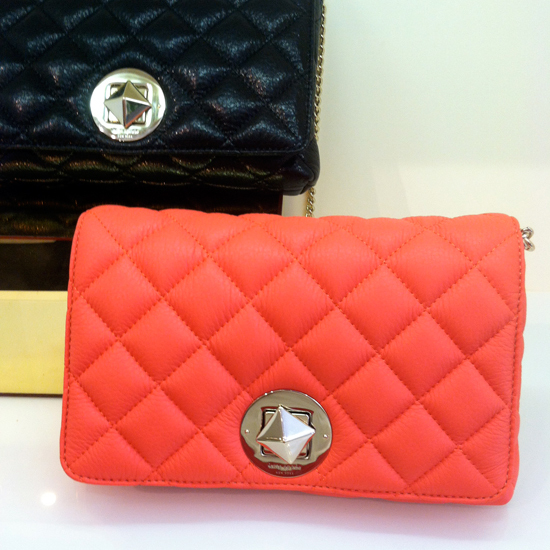 Kate Spade just keeps getting better and better!